Geopolitics, as a discursive practice, should be taken seriously. Unfortunately, sometimes we are so busy with our daily activities and work that we tend to ignore the fact that the media can, indeed, spatialize and geopoliticize a conflict by ‘labeling’ and ‘identifying’, thus creating a sense of ‘pertinence’ amongst us, the ‘audience’; in other words, creating a binary world between ‘us’ and ‘them, the ‘other.’ This said, in order to understand the power of words and images in geopolitics, we must look back and understand how geopolitical knowledge was originally produced and thought of. Let’s bring it back to the 21st century now. It was the year 2002, a year after one of the most devastating terrorist attacks on US soil. But also, it was the year when then-president George W. Bush, during his famous State of the Union Address, would label and identify the new “axis of evil” according to America’s world view; simply put, America’s new enemies—Iraq, Iran and North Korea. Was this speech a true act of geopolitical spatialization and the creation of a more rigid and tougher, binary world, resembling to the US—vs—Soviet Union days? “What we have found in Afghanistan confirms that, far from ending there, our war against terror is only beginning,” George W. Bush said as he addressed the entire world. Indeed, we have noticed that during the last decade—and the beginning of this decade—the war against terror has been substantially expanded from Pakistan to the Sahel and from the Sahel to Somalia. Going back to the 2002 State of the Union address, we have observed the urge to spatialize, label, and create a ‘sense of belonging’ amongst different civilizations in the world, which leads to the question: How often does the media spatialize an ongoing conflict, more precisely by further polarizing and transforming the world into an are-you-with-us-or-against-us type of discourse? Is Samuel Huntington’s Clash of Civilizations more valid than ever before? How often are we indirectly influenced by popular culture, regardless of our nationalities (i.e. television series, books, images, media channels)? Moreover, what are the foundational geographical and political assumptions behind our elites? This the main reason why critical geopolitics is so important in today’s multipolar world. 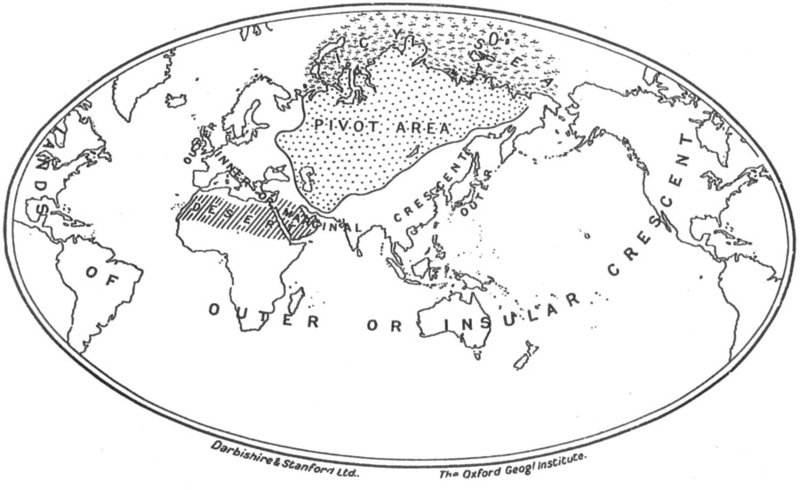 Leading geographers and critical geopolitics scholars, John Agnew and Gerard Toal, in their superstar essay Practical Geopolitical Reasoning in American Foreign Policy, suggested that the definition of geopolitics should be ‘re-conceptualized’ as a “ discursive practice by which intellectuals of statecraft ‘spatialize’ in such a way as to represent it as a ‘world’ characterized by particular types of places, peoples, and dramas.” Also, according to Agnew and Toal’s understanding, “geopolitics is the spatialization of international politics by core powers and hegemonic states.” As a result, when we think of the George W. Bush’s ‘Axis of Evil’ classification, the definition by Agnew and Toal seems more relevant than ever before.